Equipping students with what they need to succeed now is a vital part of investing in their future. Our students are facing mountain-sized barriers: homelessness, fatherlessness, addiction, abuse, academic struggles, and more. But when we look into their eyes, we see amazing potential. Not only do we want students to graduate, but we want them to have the training and support needed to move into successful, healthy adulthood. Belay is a high school club emphasizing character, service, leadership, and job-readiness. Students find healthy community and gain practical knowledge through dynamic group meetings and off-campus experiences. Adult mentors provide encouragement, accountability and support year-round through Belay and TTLM’s other student programming. Student Success Coaches work with students on our partner high school campuses to provide comprehensive prevention and intervention services for at-risk students. As advocates, we take a very hands-on, proactive approach to helping students achieve success both inside and outside of the classroom. 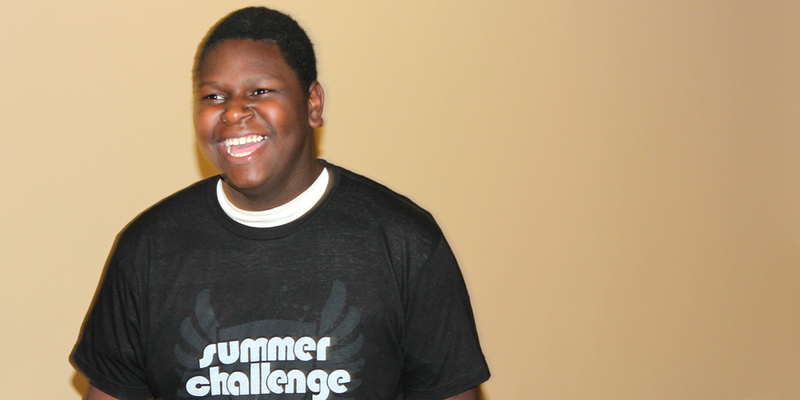 Summer Challenge is a fun, intensive 6-week program emphasizing team building, spiritual growth, and job-readiness. Students gain practical work experience through our Social Enterprise, Refresh Boutique, and other job shadowing opportunities with local business partners. Students meet community leaders, develop solid communication skills, facilitate service projects, and discover ways to overcome the difficult barriers they face. Mentoring is vital to these students having a successful transition to responsible adulthood.